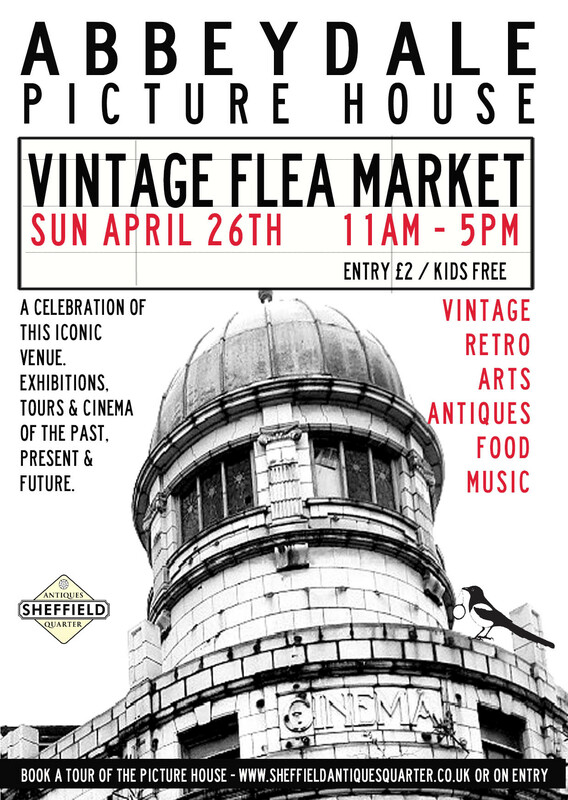 Vintage/Flea Market @ Abbeydale Picture House – Sun 26th April, 11 am | IT'S HAPPENING IN HEELEY! Featuring 70+ Retro, Vintage, local Arts & Crafts and Salvage and Antiques wares – Artisan Food. Pop Up Bar & Café. Music.